This tour company offers everything from whale watching to skydiving, surfing to pub hopping. See all the incredible beauty and life that British Columbia and the Canadian Rockies have to offer at a pace and price that works for you. 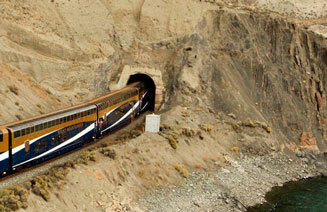 Take in some of the most amazing natural scenery on Earth through the windows of a custom-designed glass dome railcar. Comfortable seating, quality food, and new friends just waiting to be met are all found on the Rocky Mountaineer®. Our goal is to provide each and every customer with memorable and unique experiences in Western Canada. Offering engaging, exciting, and informative tours of the Rockies, Tofino, Victoria, and Whistler. Offering a diversity of tours, Eagle-Eye Tours offer packages that range from birding-focused to more generalized nature tours that include exposure to local cultures and attractions. Most of their tours spend significant attention to the flora & fauna of the sites being visited, which is a great feature for the true nature enthusiast. Based out of British Columbia's Okanagan Valley, Avocet Tours prides itself on providing birding tours that are well-planned and relaxed enough so that you don't feel like you're being rushed from 1 location to the next. All accommodations, transportation, meals, park fees, bottled water, and guide services are included in their prices. Harrison Eco Tours offers a variety of eco-themed tours, among them is the Eagle Watching Tour that was recommended to us by Mykaila from Victoria, BC! Bald eagles flock to Harrison Mills/the Harrison River starting mid-October to gorge on spawning salmon. Tours are on a covered, heated jet boat and run Oct. through Feb. of each year. 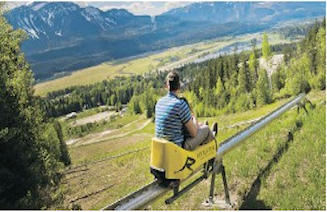 In the heart of interior BC is the Pipe Mountain Coaster, an exhilarating and scenic mountain-side roller coaster ride with a 279m vertical drop. Operated by Revelstoke Mountain Resort, this unique roller coaster is open whenever the weather permits. 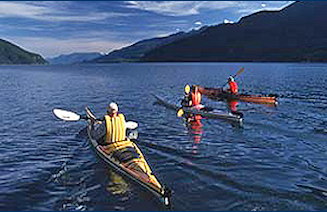 Kayak the beautiful waters of Kootenay Lake in beautiful BC. Offering holiday packages which include kayak lessons and rentals, this company offers a variety of itineraries such as half-day paddle excursions, multi-day kayak camping trips, B&B tours, or week-long paddling/hiking expeditions. A locally owned, locally operated outdoor adventure company that takes you to the water, the forest, and up into the mountains. 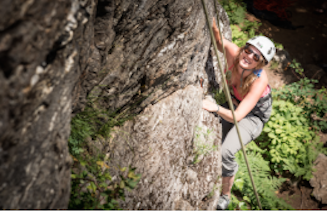 Daily outdoor adventures for anyone, from total beginner to seasoned veteran. Certification courses, wellness, and youth programs available. 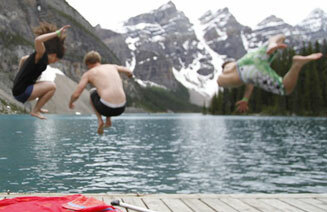 We are your online resource for mountain tours and activities in the Canadian Rockies. 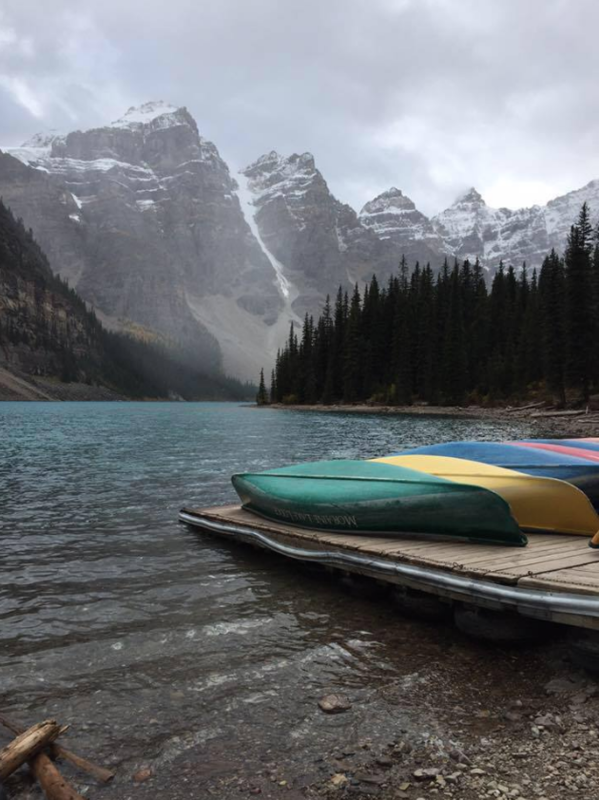 Offering helpful, informative reviews and unbiased recommendations for mountain tours and activities found in the Rocky Mountains of British Columbia and Alberta. We do not sell tours and are not affiliated with the tour companies listed on this site... We are simply here to help find the best mountain tour for you! 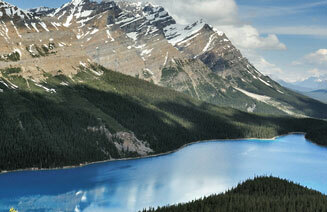 Just a few hours of driving distance from Calgary, Alberta lies Canada's beautiful Rocky Mountains. The Rockies are majestic, massive, and the perfect playground for outdoor activities that everyone can enjoy. From train trips in a dome car through BC's beautiful interior to rock climbing and kayaking, to truly memorable wine tasting tours, BC Mountain Tours is your online source for discovering all that the Canadian Rockies have to offer. On a tight budget? That's not a problem! BC Mountain Tours has a list of adventure outfitters that will fit most budgets (even starving students). Take a look through this site to see some of the best mountain tours available in and around the Rocky Mountains. Give yourself space to breathe again with a BC mountain tour! This page is supported by Burgundy Limo, a Calgary Airport Limousine and black sedan service that is driven by quality customer service. Proudly offering chauffeured driver services to destinations throughout southern Alberta and BC's interior. Hey there! Are you a tour/adventure company in BC or Alberta that wants to be included on this site? Or have you recently had a great experience with a tour operator and want to share the love? Then contact us and let us know – we would love to hear from you!